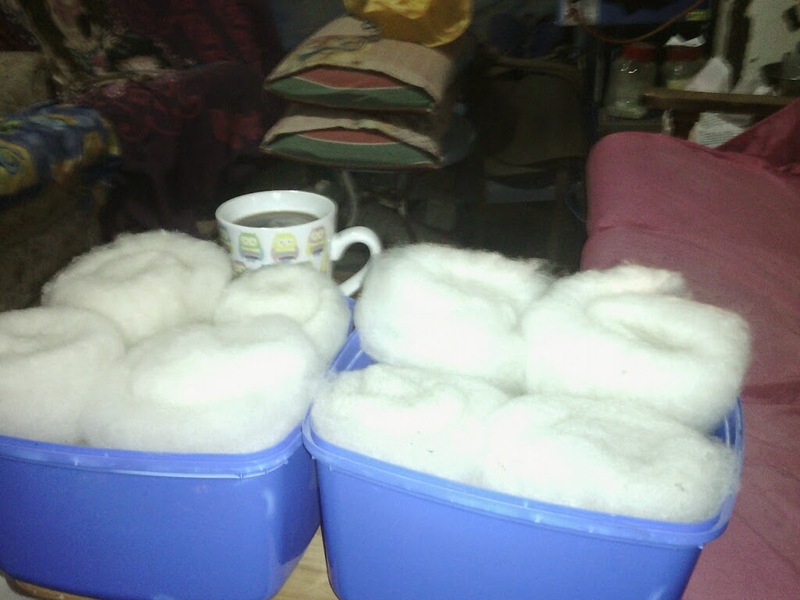 I have carded up a 100g batch of washed wool into cute little rolag ‘nests. 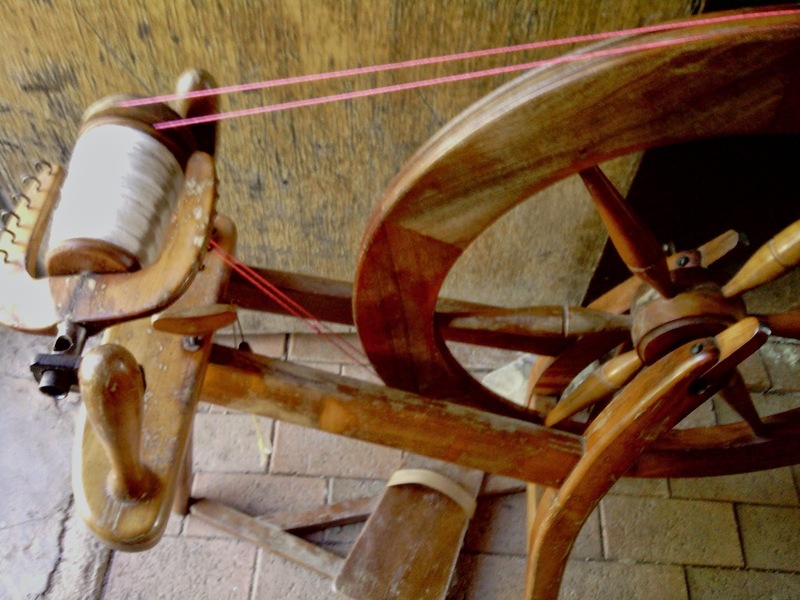 Spinning can be seen as a science, an art or a craft. I like to think of it as a craft; I don’t get too scientific or precise about it, I just spin. So..I sit in my crafting nest in the lounge room and spin while I watch a DVD or just sit and enjoy the quiet. It takes me about four hours of spinning (broken up into movie length lots) to fill a bobbin. Then it needs to be plyed into a strong yarn. 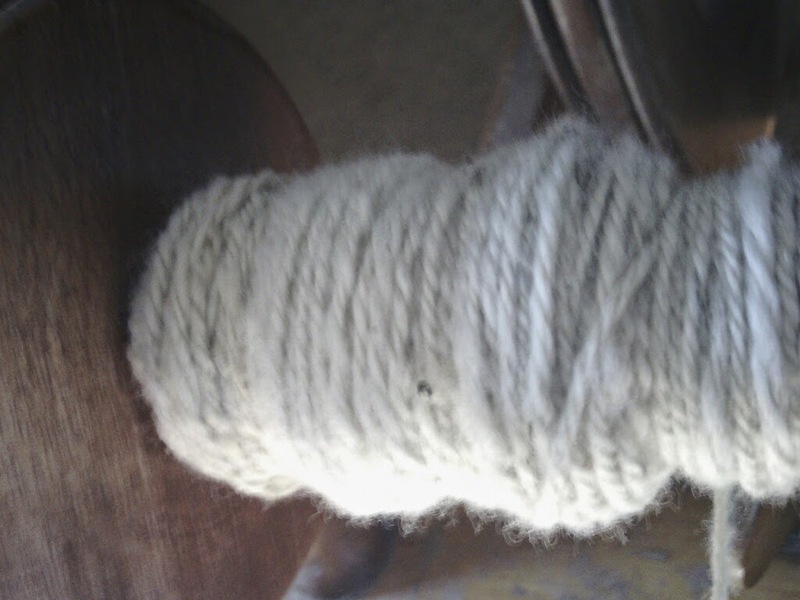 A half spun bobbin of singles. 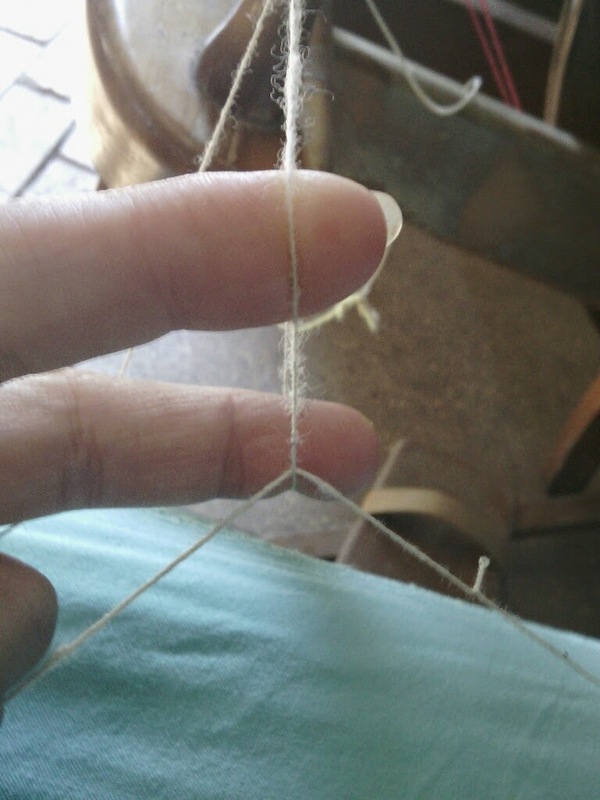 There are so many ways to ply yarn, it would take me all day to explain them. 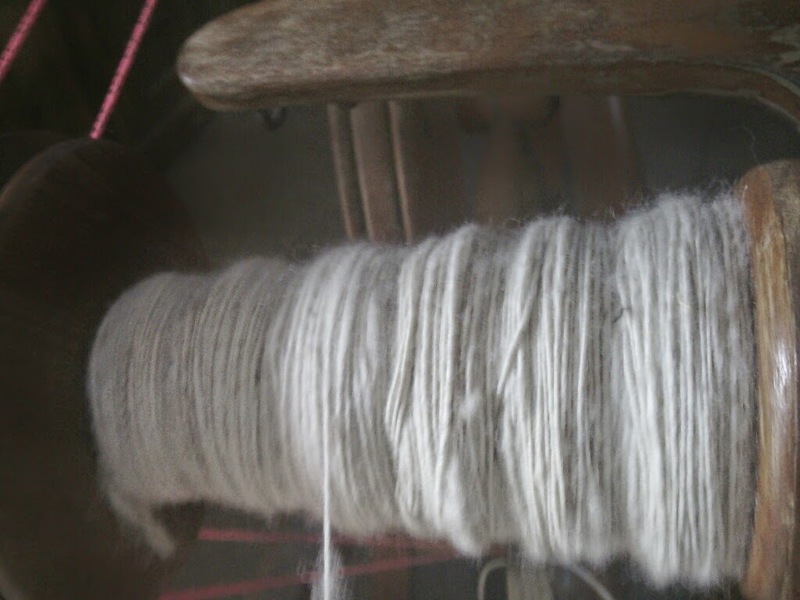 I usually use a Navajo ply method which uses a single bobbin rather than two or three bobbins. Once the yarn is plyed, I wind it onto a niddy noddy to make a skein which is then tied together and washed again to set the twist. This part is fun as I take the yarn out of the bath (as described in part one), squeeze the water out of it somewhat and then whack it against a post with some vigour. This gets my dogs all excited (maybe they think I’ve gone mad) and they all start barking like loons and jumping around. Once the excitement dies down, I hang the skein on a contrived rack (on my wool cupboard) to dry, or I may decide to dye it first. 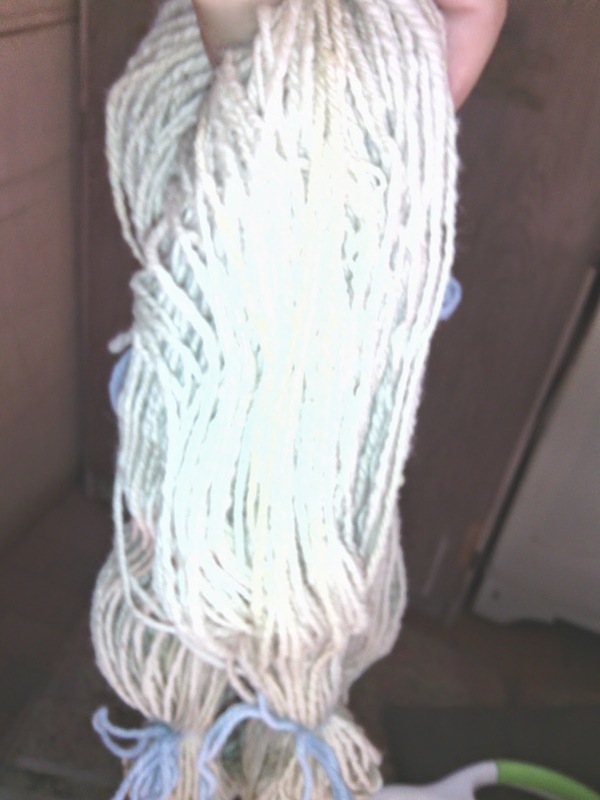 Part three is the yarn dying process…. see you then. Ply- Twisting two or more strands of yarn together to produce a stronger, thicker yarn. 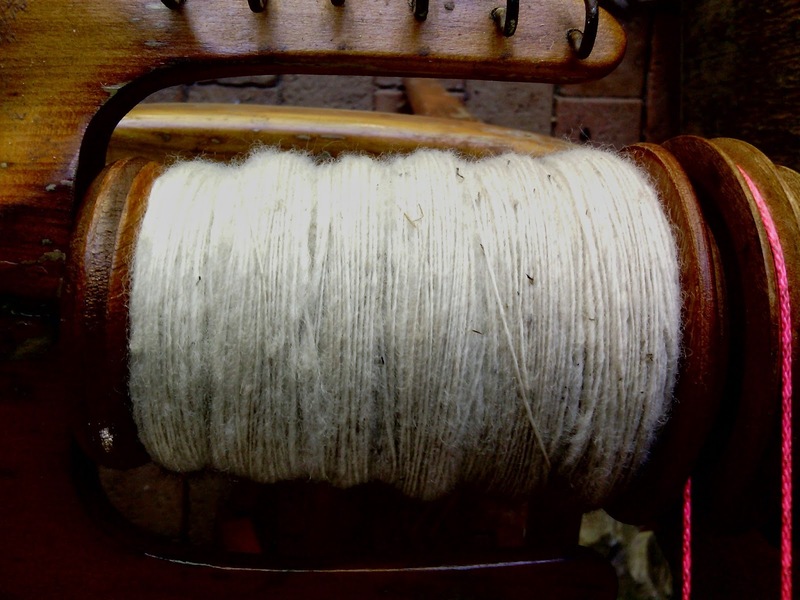 Single – A single length of yarn, spun onto a bobbin, prior to plying. 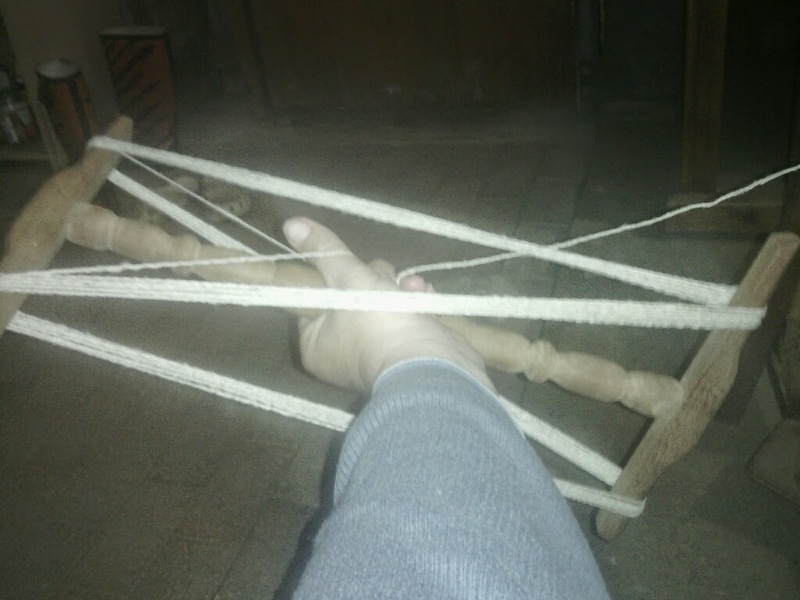 Niddy noddy – A tool used by spinners to wrap wool around when making a skein. Skein – A neat parcel of yarn, made by looping yarn in equal rounds.